I have been using this eyeliner for almost six months now and I'm not planning to change liner anytime soon. 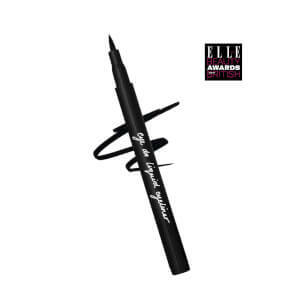 I feel this liner is so easy to apply and it gives you the perfect thickness and shape for a cat eye look. It lasts all day but at the same time is easy to remove. I use the mini size when travelling; same results as the full size and super convenient! I love that it’s very very black and does cling to the lash line but it’s hard to put on neatly compared to similar liners. It is waterproof but it does tend to transfer to a droopy lid a little bit. If the “rock chick” smokey eye is your look it’s ideal, not for a neat fifties style flick. 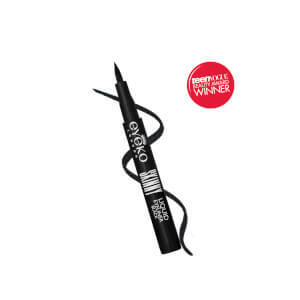 I was happy with this product as it’s very easy to apply but it doesn’t last and fed away quickly leaving black stains around the eye ruining my whole make up won’t be buying again.